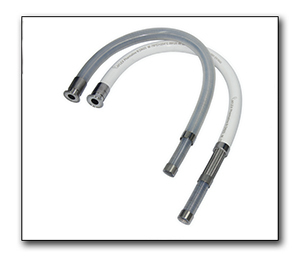 Pharmaline™ is a unique, smoothbore PTFE-lined hose product, based on a patented PTFE hose liner tube design. Pharmaline™ is designed to overcome the primary disadvantage of currently available similar products, namely - poor flexibility. Although excellent flexibility is often claimed for comparable products, the truth is that they are all considerably less flexible than Pharmaline™ - particularly in large bore sizes. The Pharmaline™ Brochure is available here.